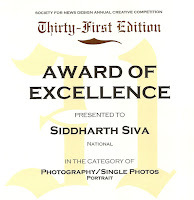 Siddharth Siva's blog: Award of Excellence! 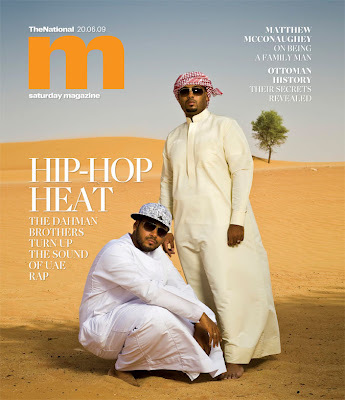 Clint and Kristine, the amazing photo editors over at the National M Magazine in Abu Dhabi just mailed over a certificate from the Society for News Design. A cover story I shot last year for the M magazine was entered in SND's Annual Creative Competition and it won an award of excellence in the Photography/Single Photos Portrait category! 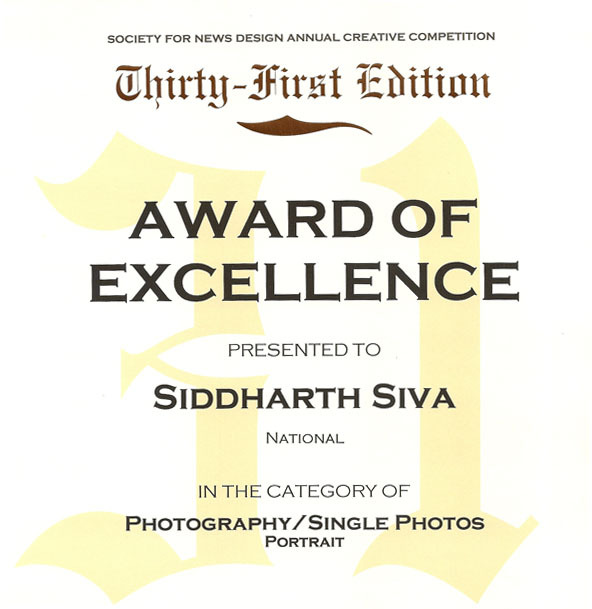 I am very excited and a big thanks to Clint Mclean and Kristine Bacharach at the National for all the wonderful assignments!! Check out the slideshow of images from the shoot with Desert Heat! Your photos are wonderful ! !